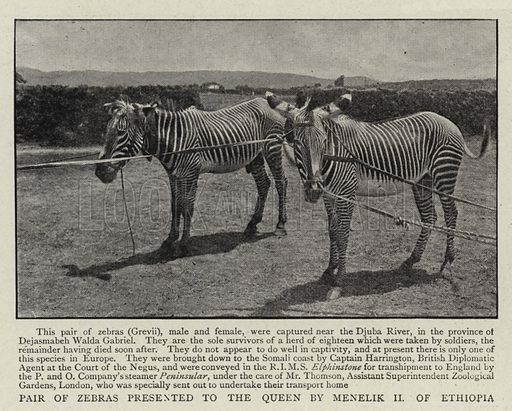 Pair of Zebras presented to the Queen by Menelik II of Ethiopia. Illustration for The Graphic, 12 August 1899. Available worldwide for immediate download up to 4,464 x 3,584 pixels.